Club Penguin Cheats by Mimo777 Club Penguin Cheats by Mimo777: Do You Miss The Club Penguin Soccer Pitch? I do! 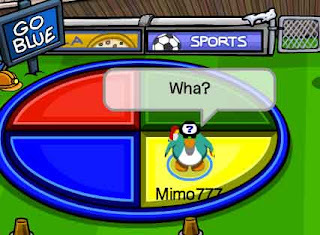 I really like Field event on Club Penguin Stadium right now, but I miss playing a sweet game of soccer! Club penguin does so many awesome things every month. But It's soccer season! So I was kickin' around Tootsville and I noticed what a pretty cool soccer field they have. 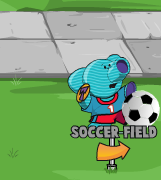 To find the soccer pitch go to TOOT UNIVERSITY then click on the Soccer Field. So if you want to play me some time, just tweet me and we will hook it up! Click here to check out the Tootsville soccer field NOW. yeah i know, i really want soccer back. plus its allmost time for hockey season, plz just one more game of soccer! So it's gonna be permanent until the Ice Rink comes back or something? Lets hope not. I want the ice rink back! I love the ice rink! Plus I hope they bring back the Ballet outfit thing back soon! I want the ice rink back, we havent had it on clubpenguin for months! Yeh. I said this to my friend yesterday. Weird, eh? Wait, they're keeping it this way. cmon. i know you made little updates to the nightclub but this is to far! I hope when they switch to hockey it will go back to normal. Man I agree. I loved the normal soccer pitch but how are people gonna get the stamp for soccer teams now? I want soccer field back too!!! oh and can i ask? um, when ur playing, r u crowded by a crowd of fans? if i saw u, id do that! lol! WAIT! THEY'RE GETTING RID OF THE STADIUM FOREVER! THAT'S NOT COOL! WHAT IS WRONG WITH THEM. WHY DO THEY HAVE TO GO CHANGE EVERYTHING.